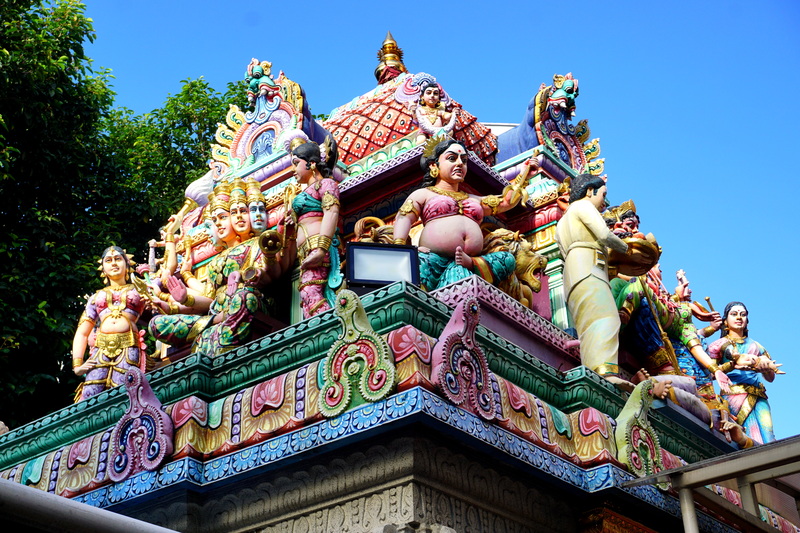 high-definition creative commons photographs from prominent Hindu Veeramakaliamman Temple together with further information. 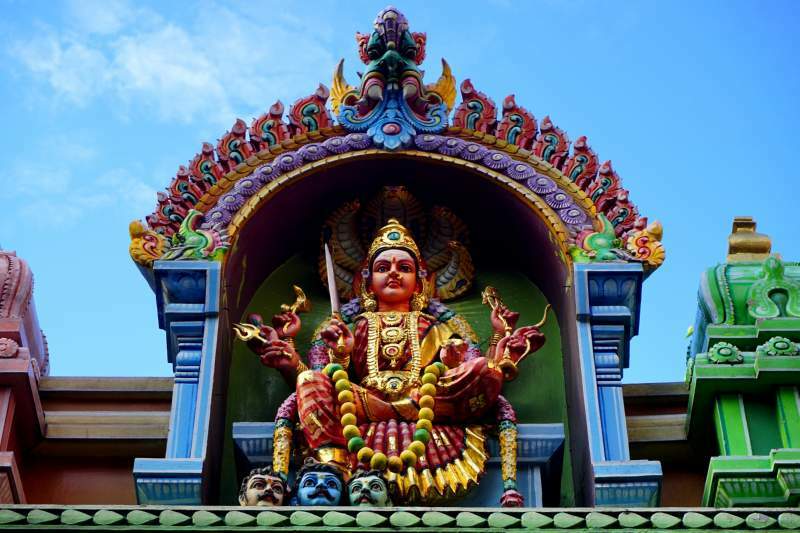 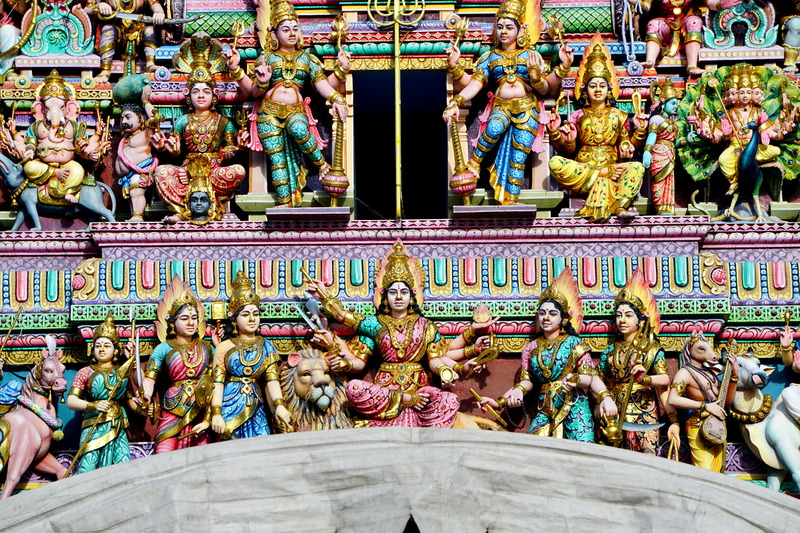 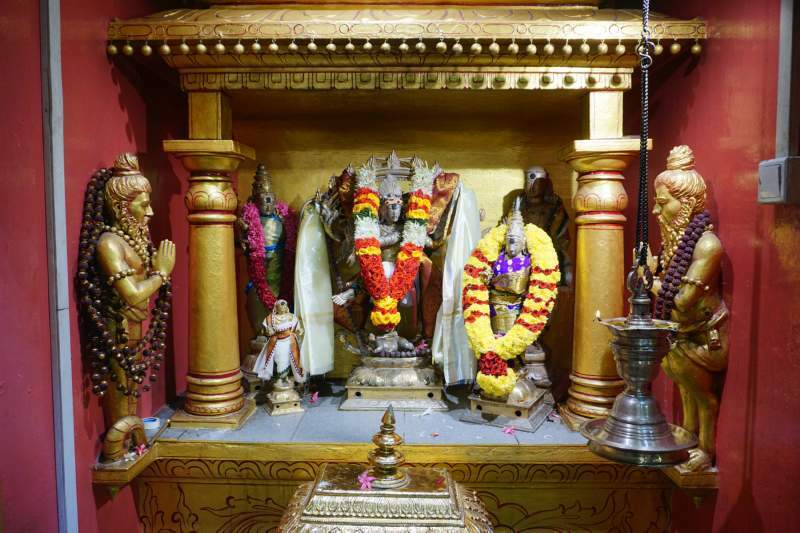 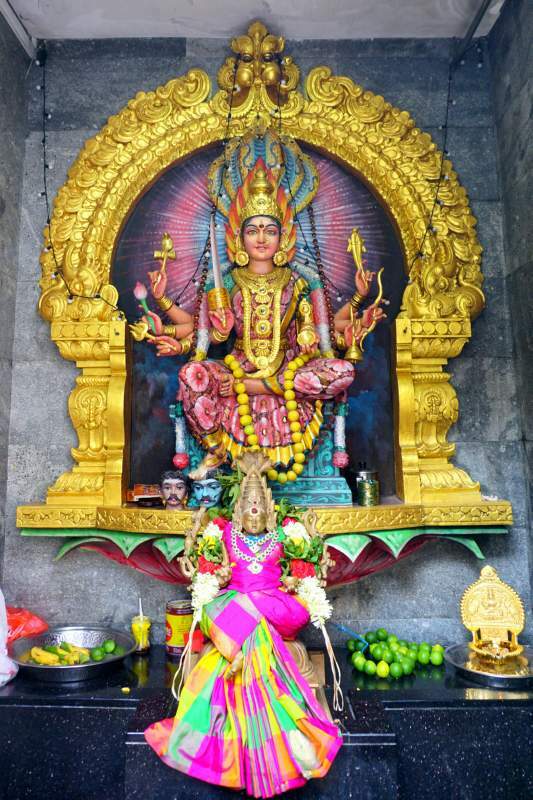 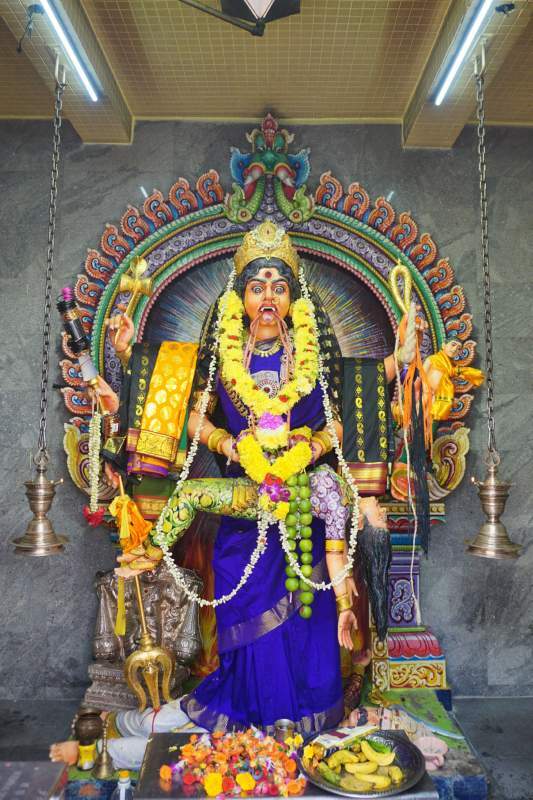 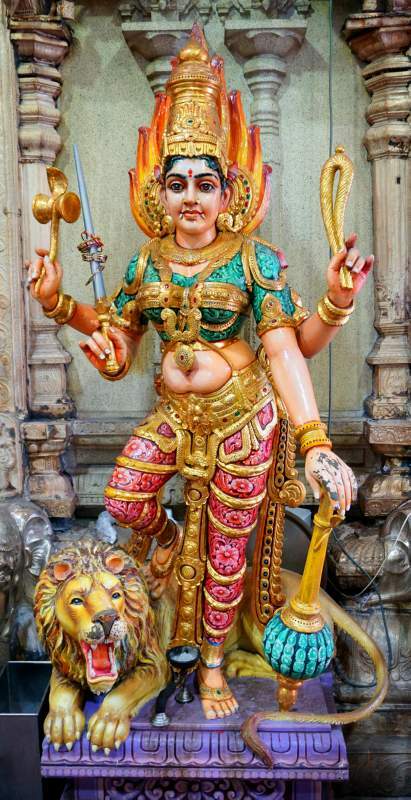 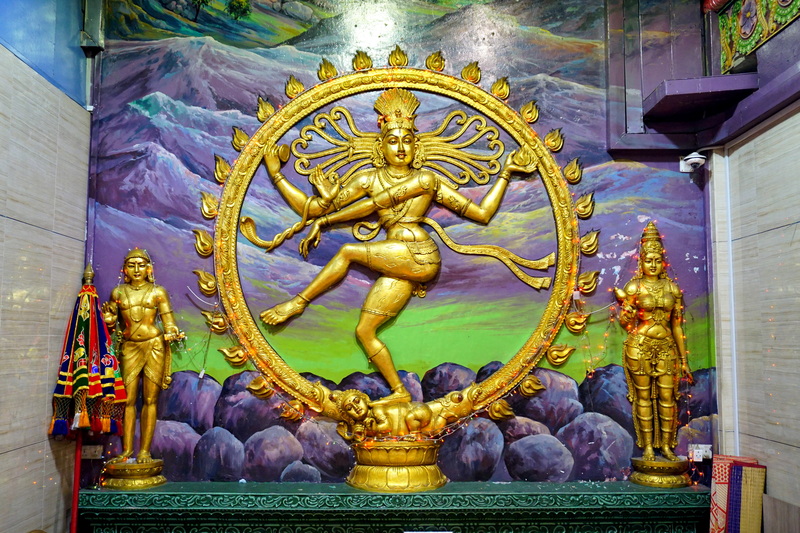 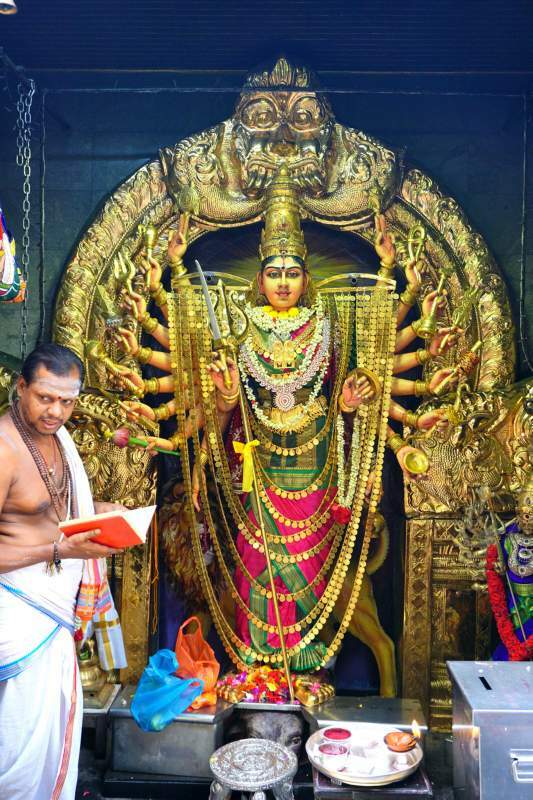 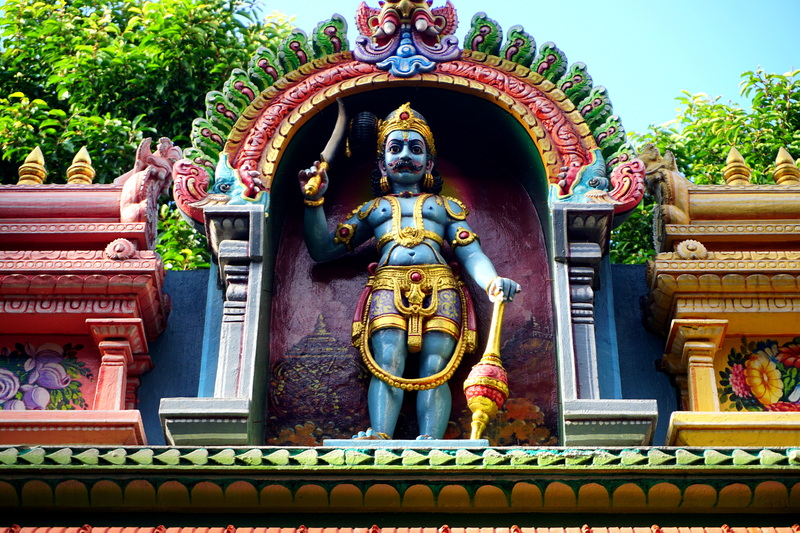 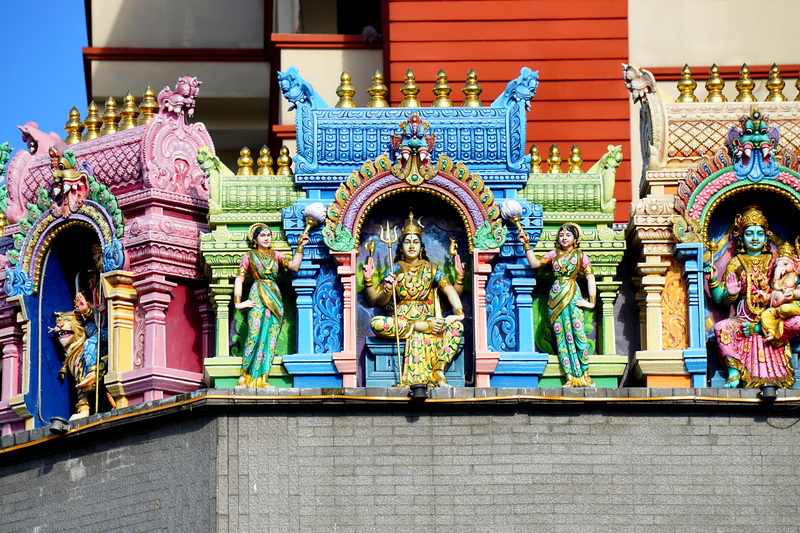 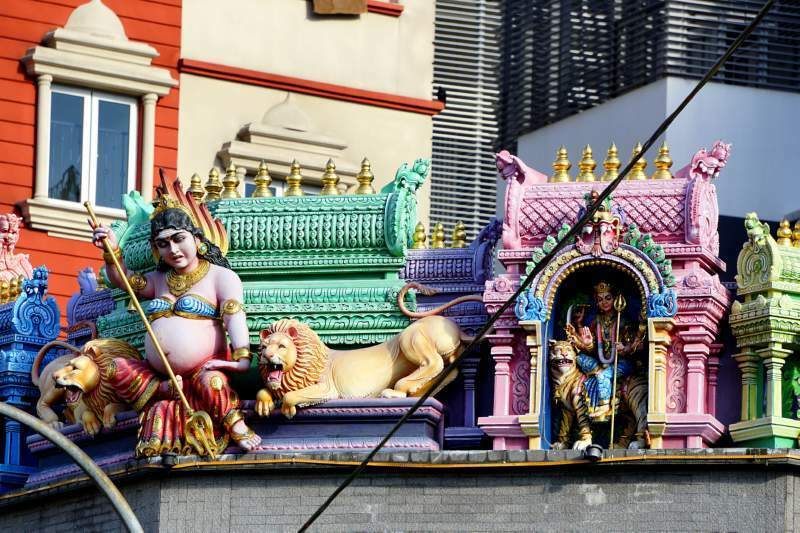 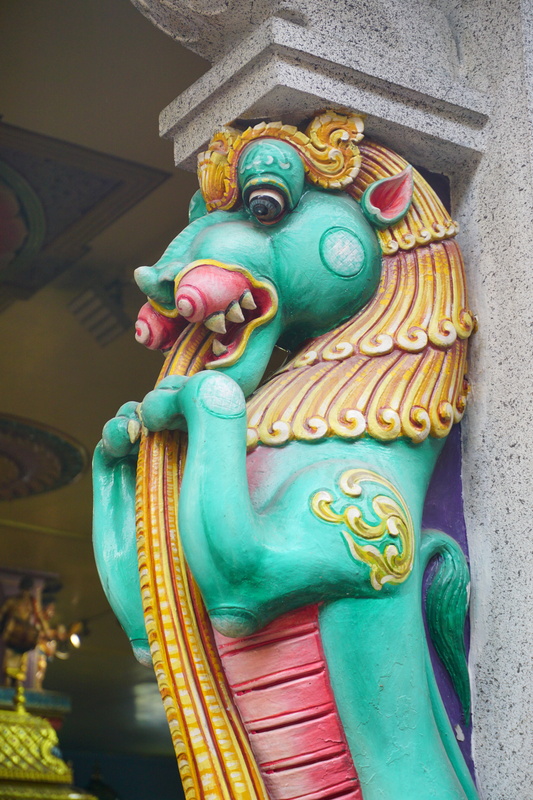 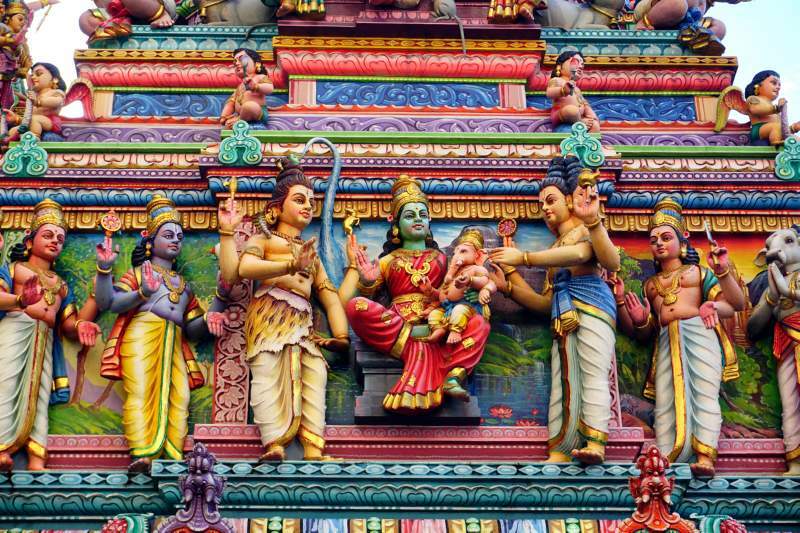 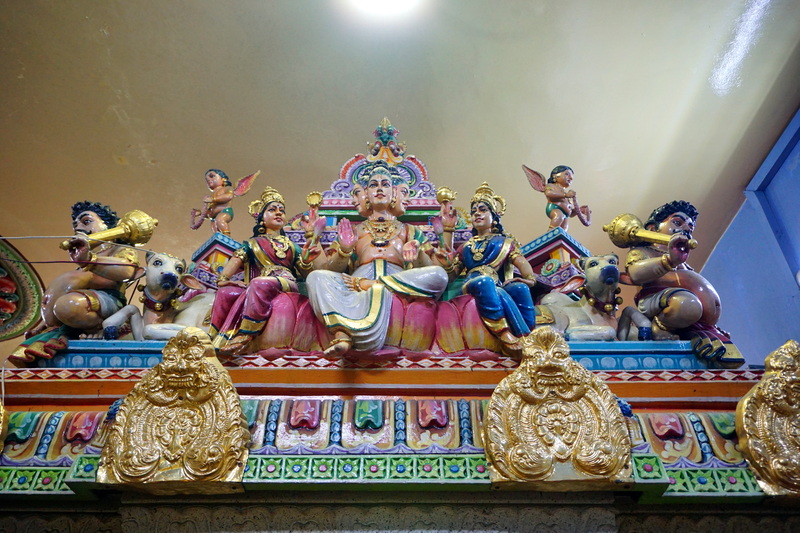 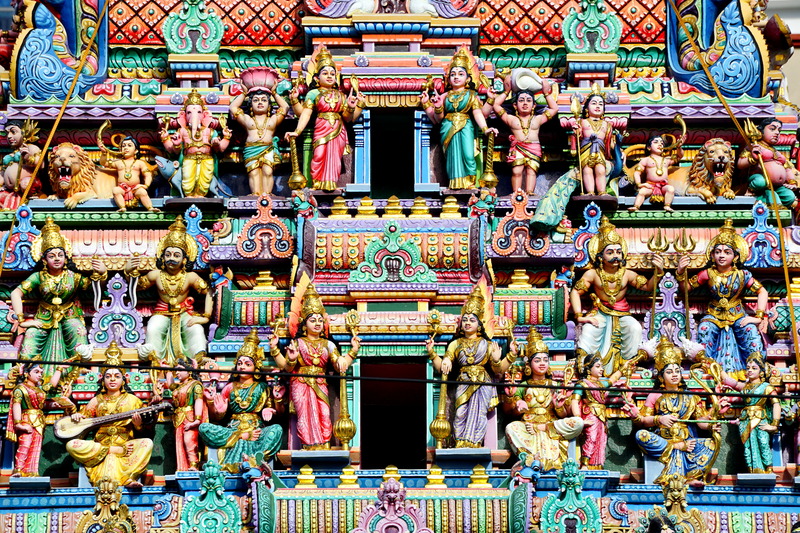 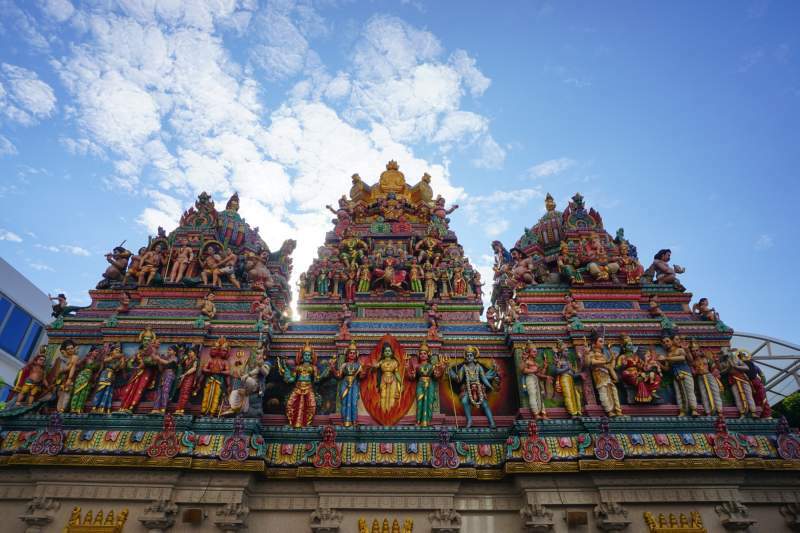 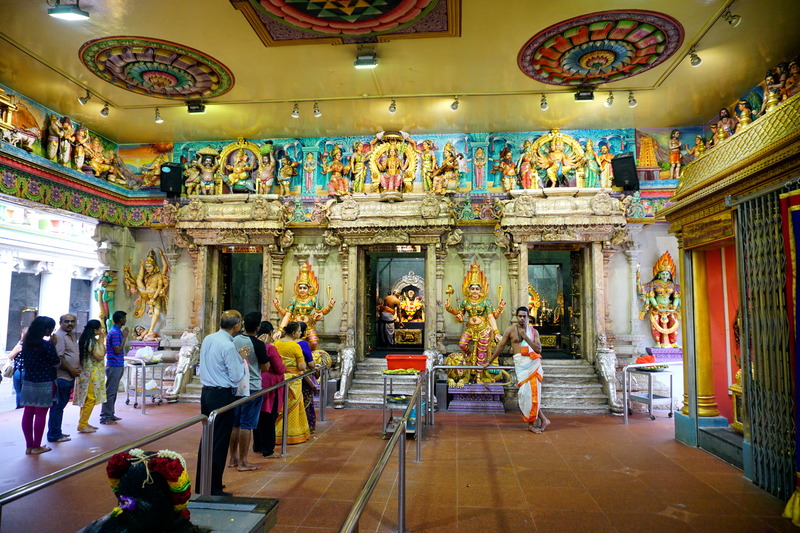 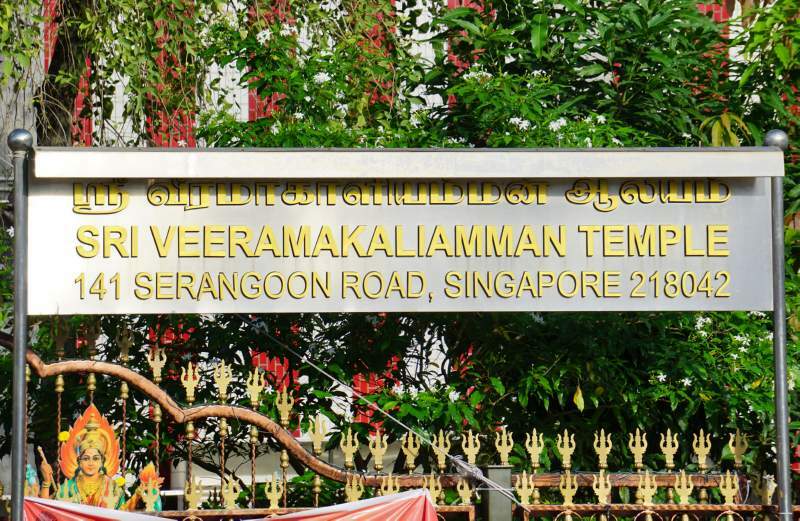 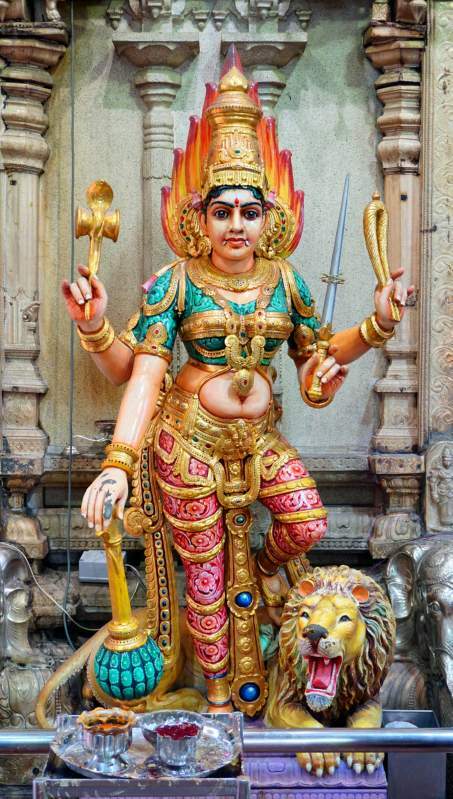 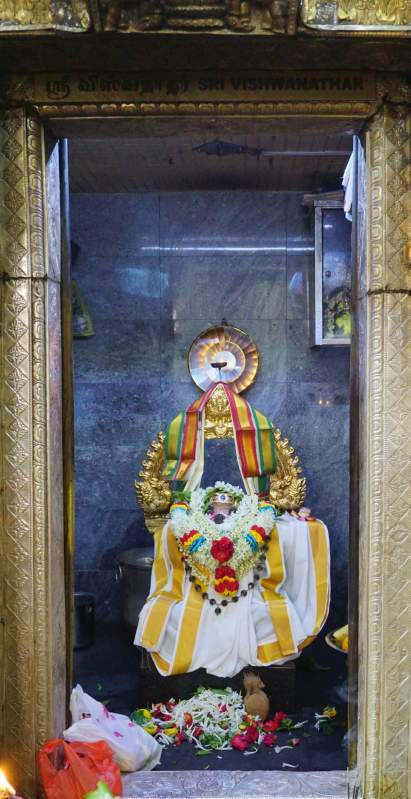 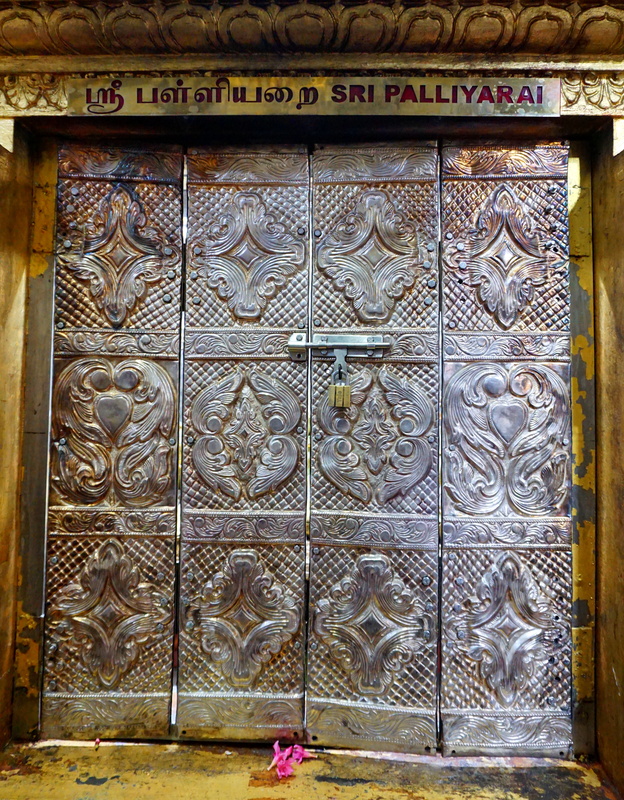 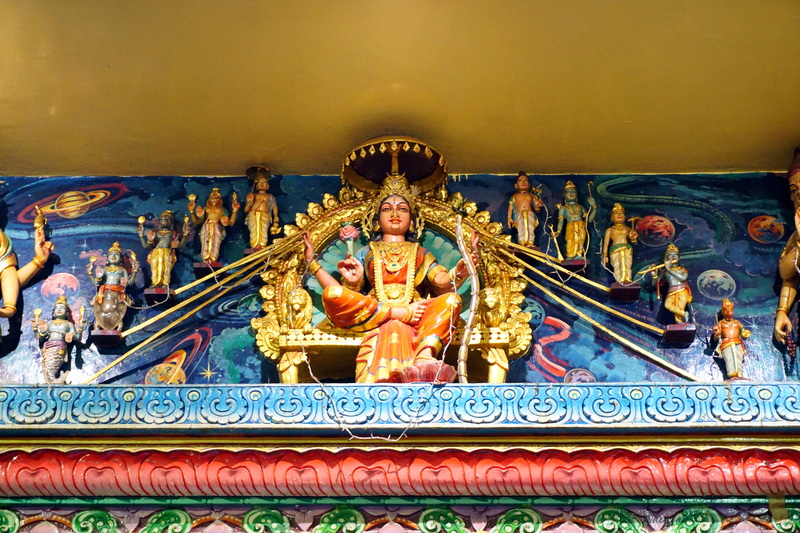 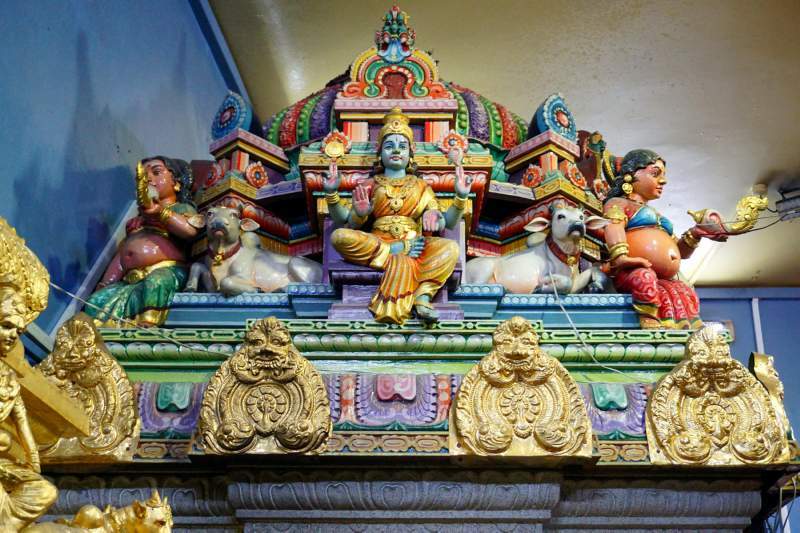 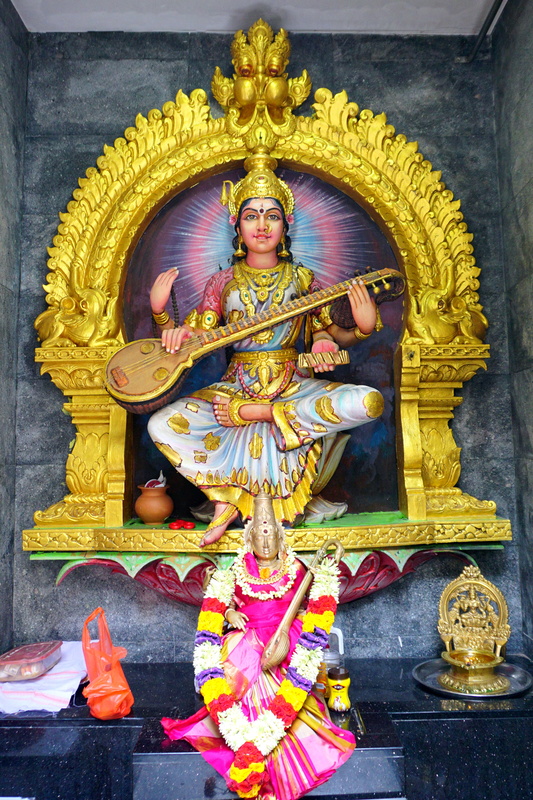 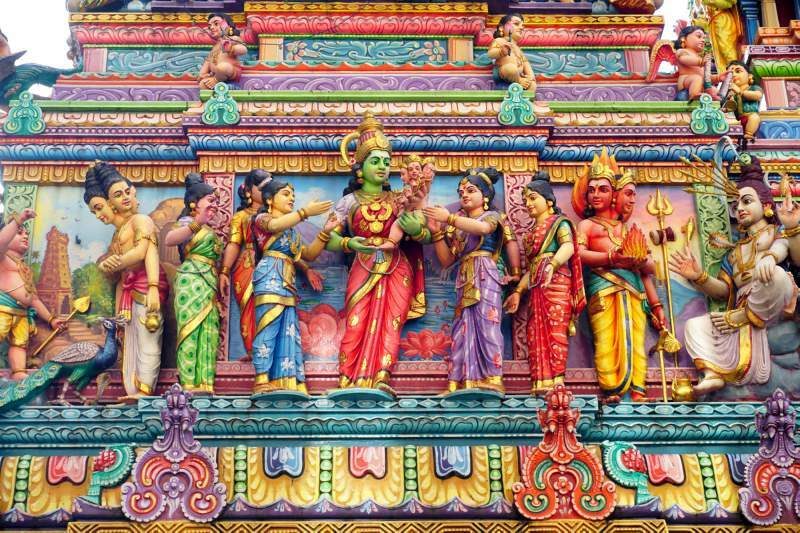 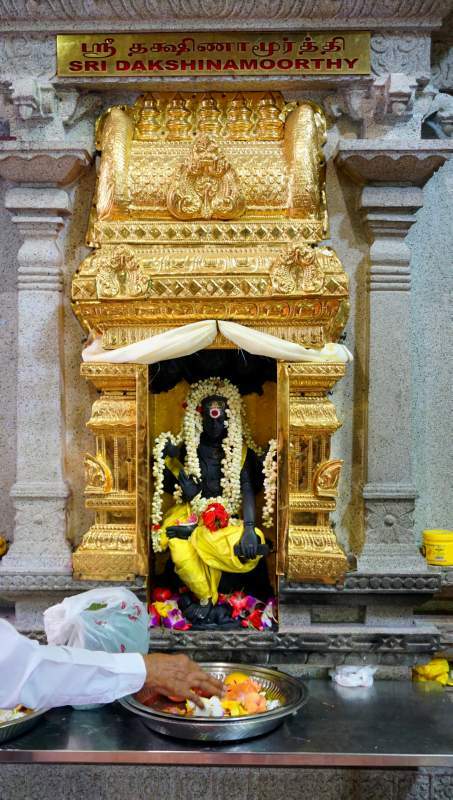 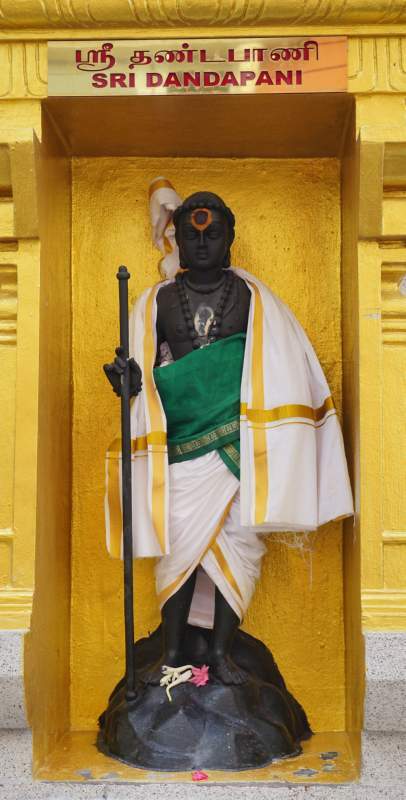 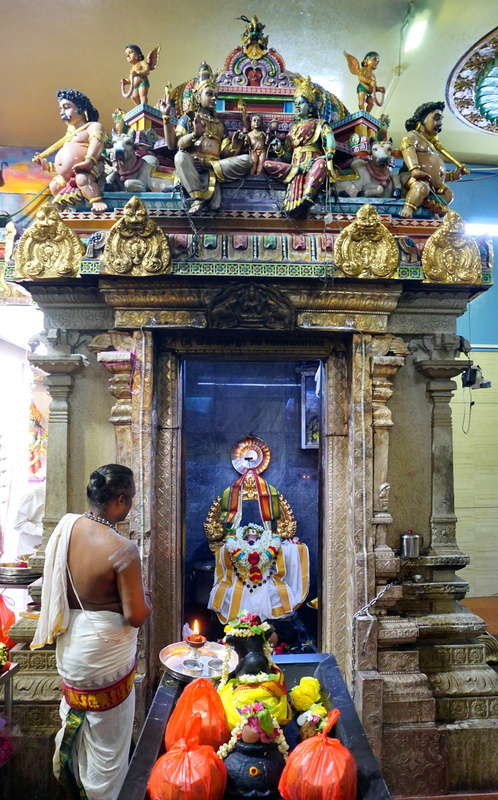 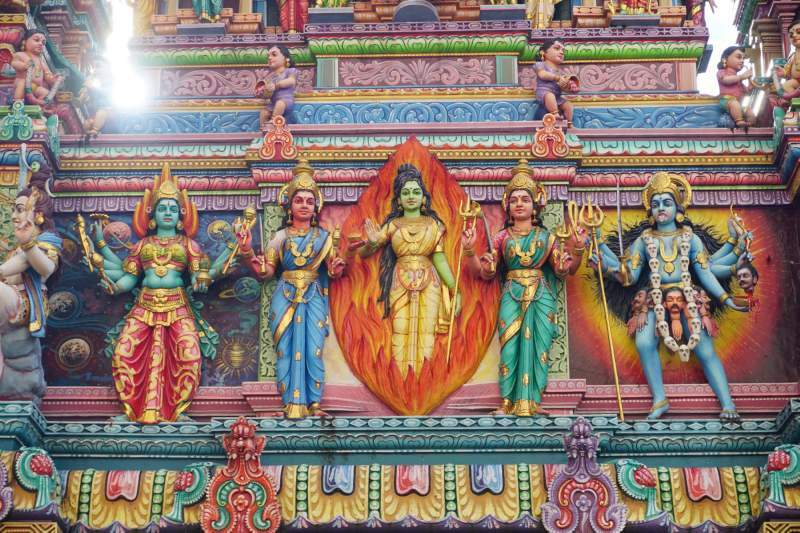 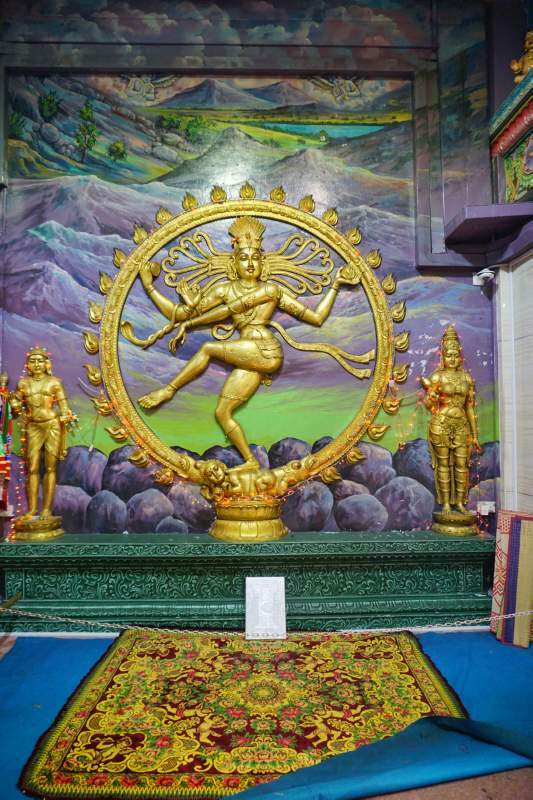 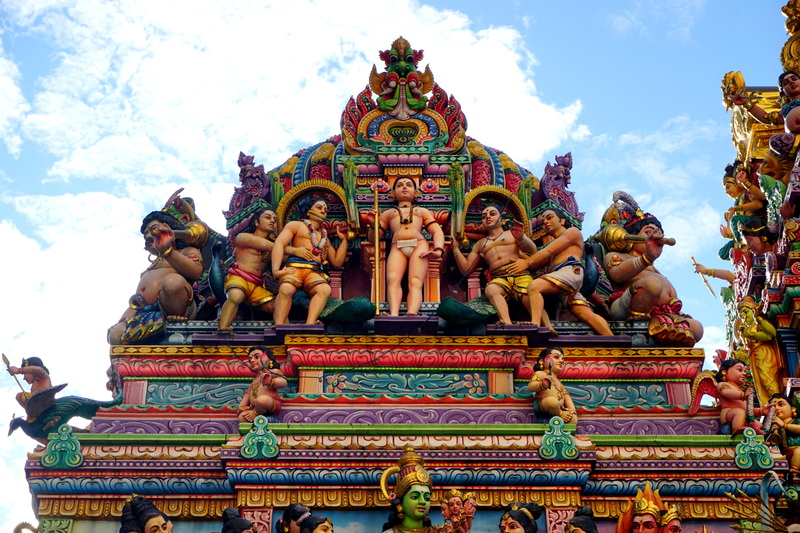 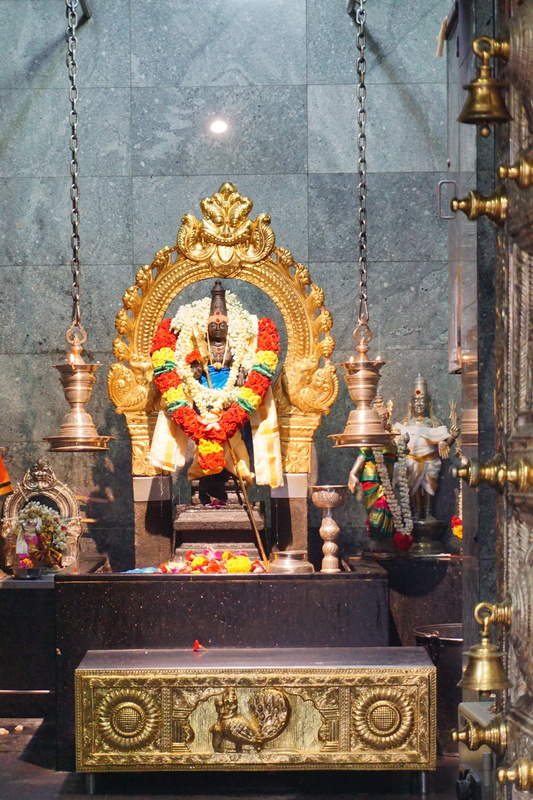 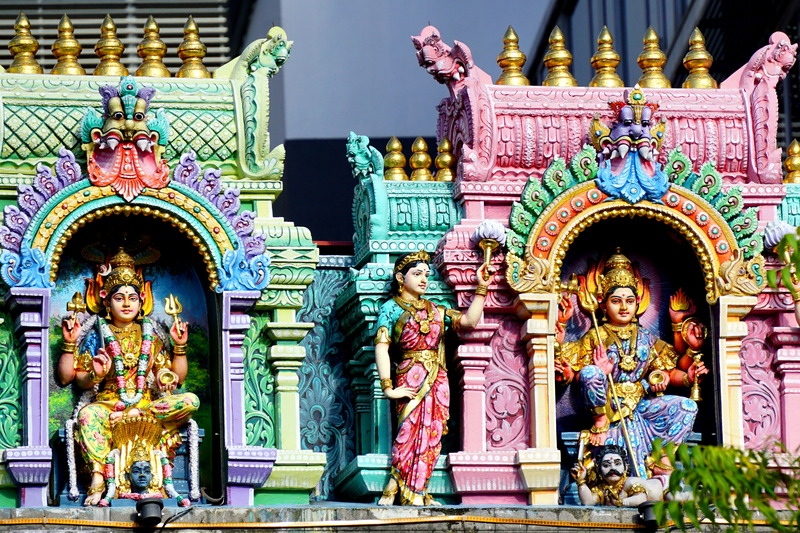 The Veeramakaliamman Temple in Serangoon Road is one of the oldest temples in Singapore. 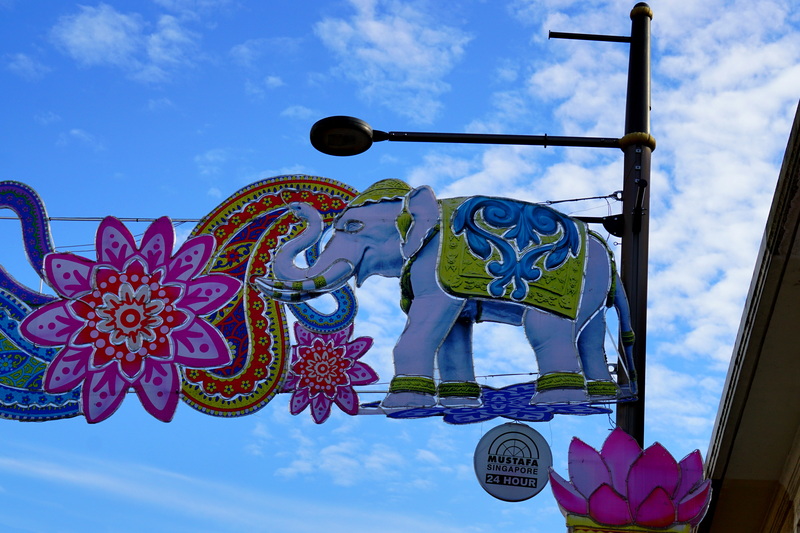 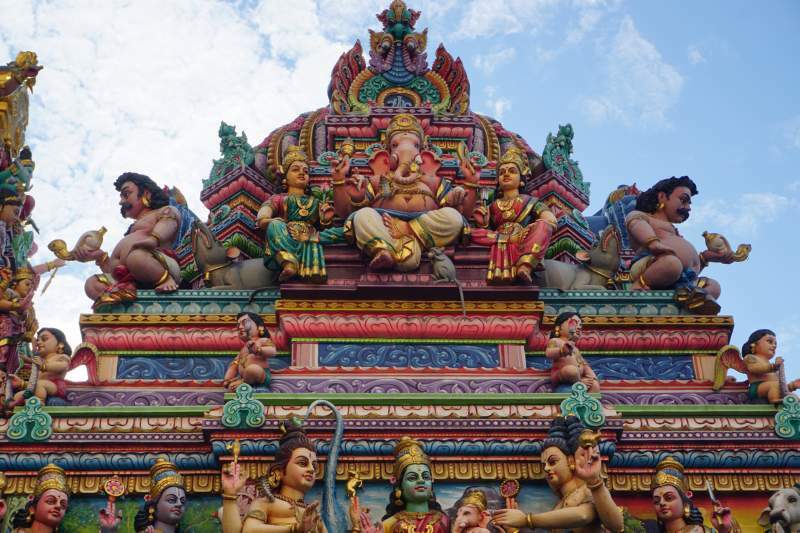 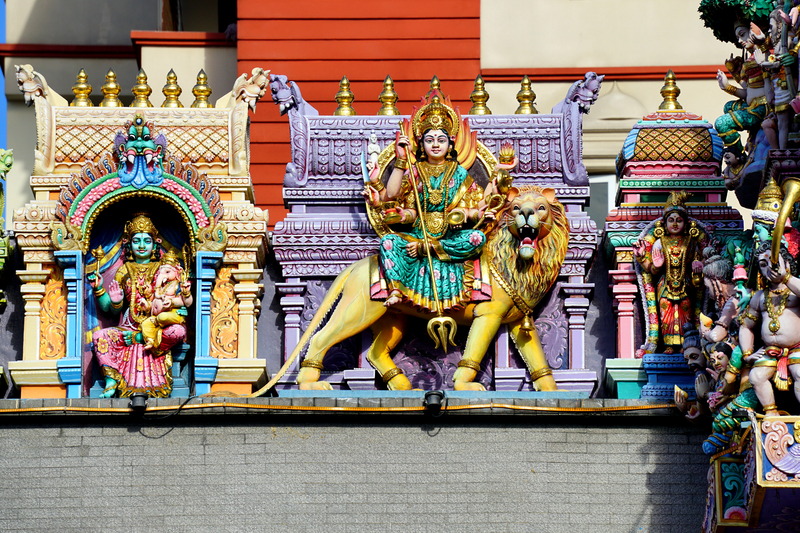 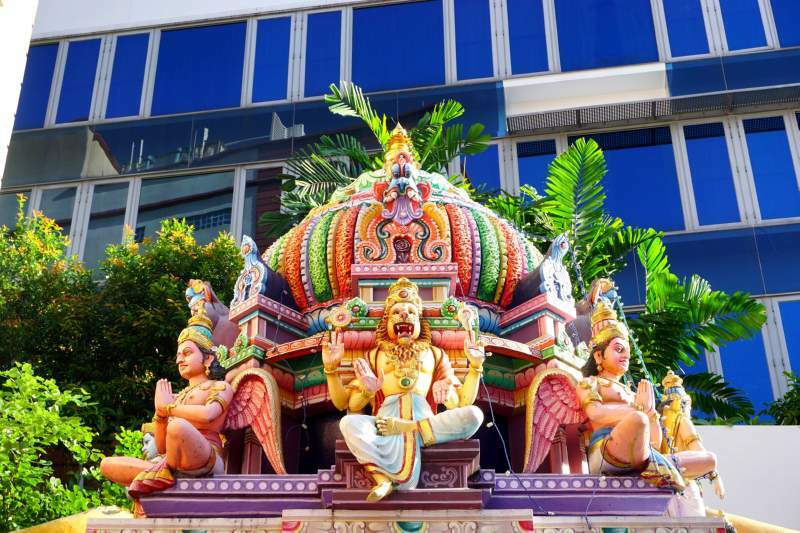 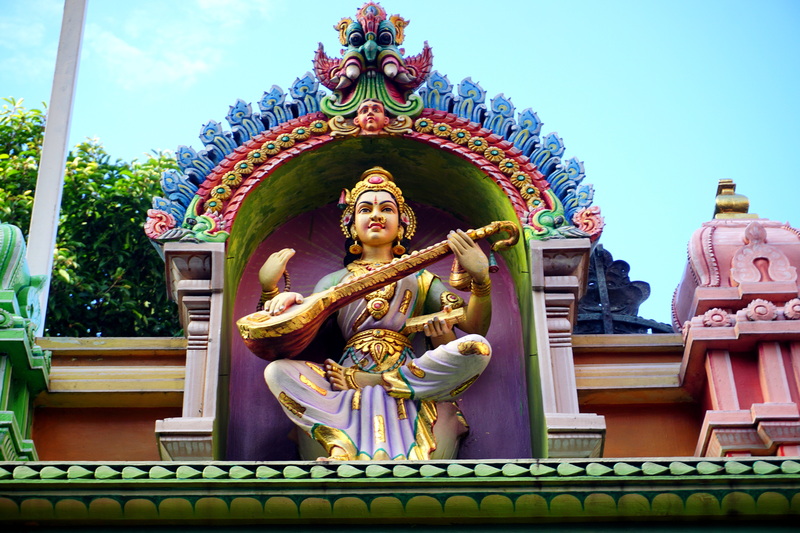 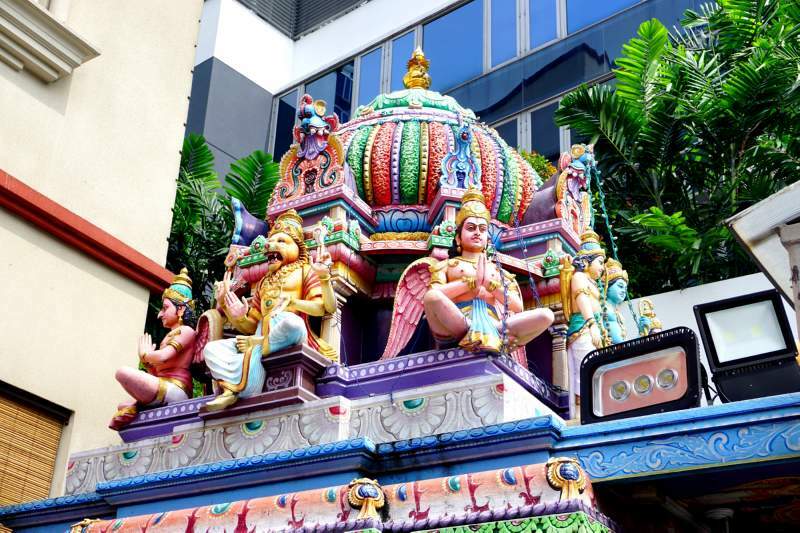 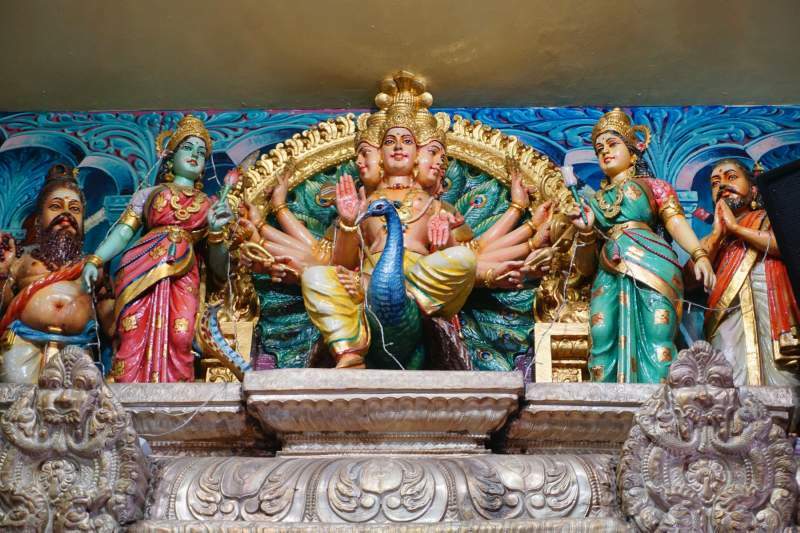 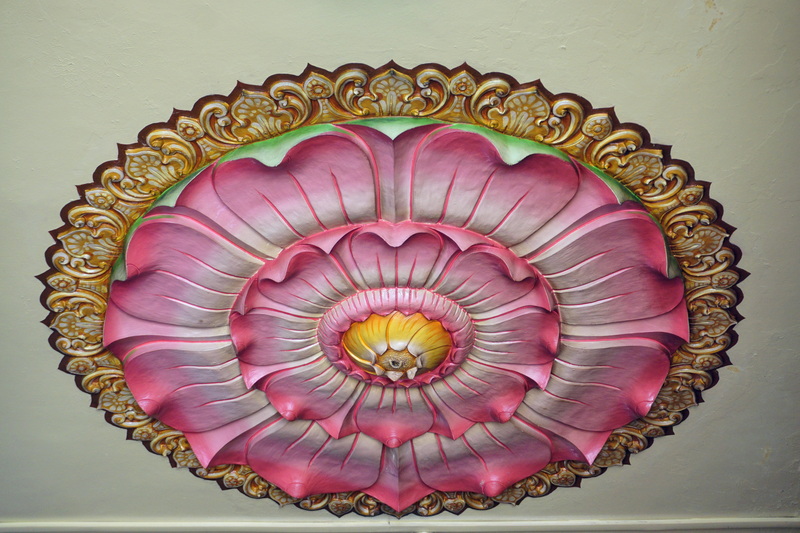 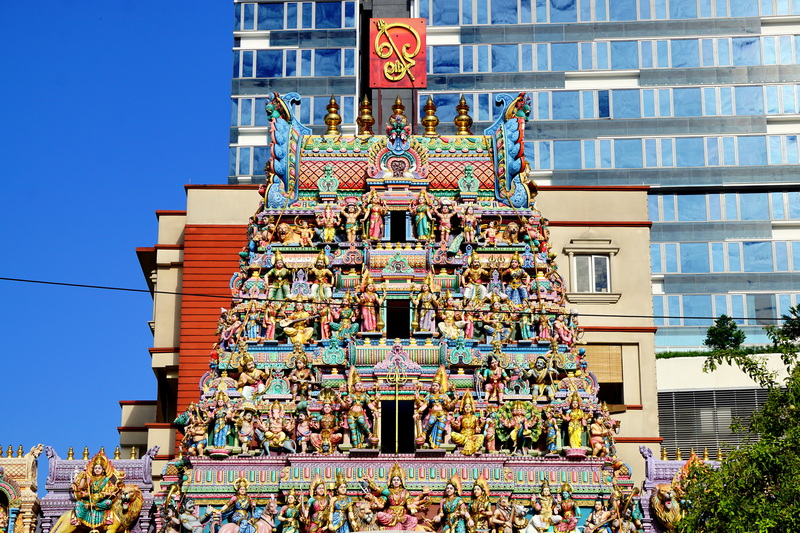 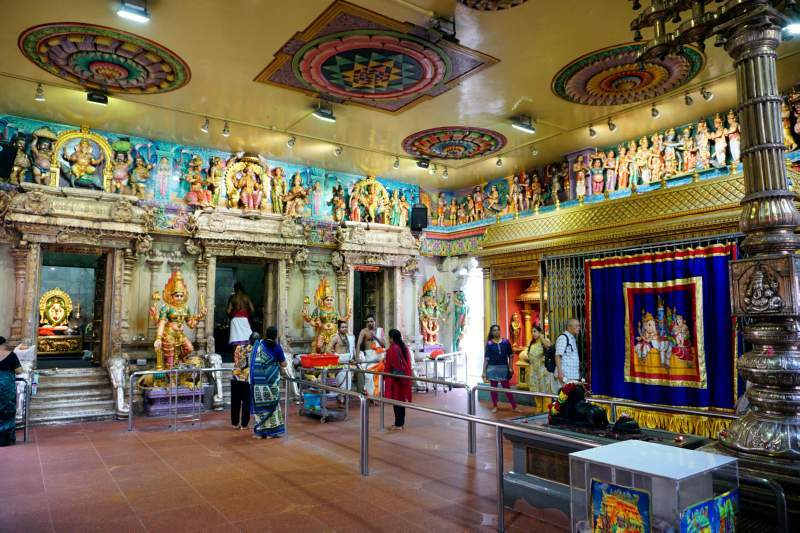 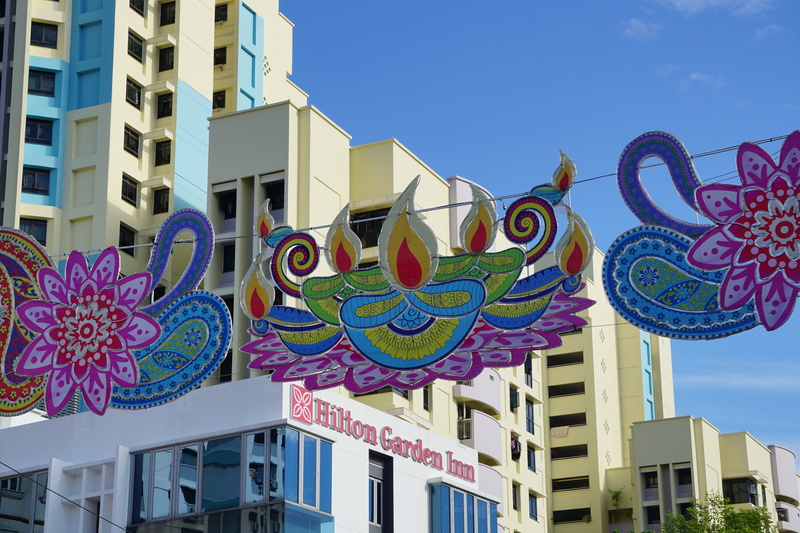 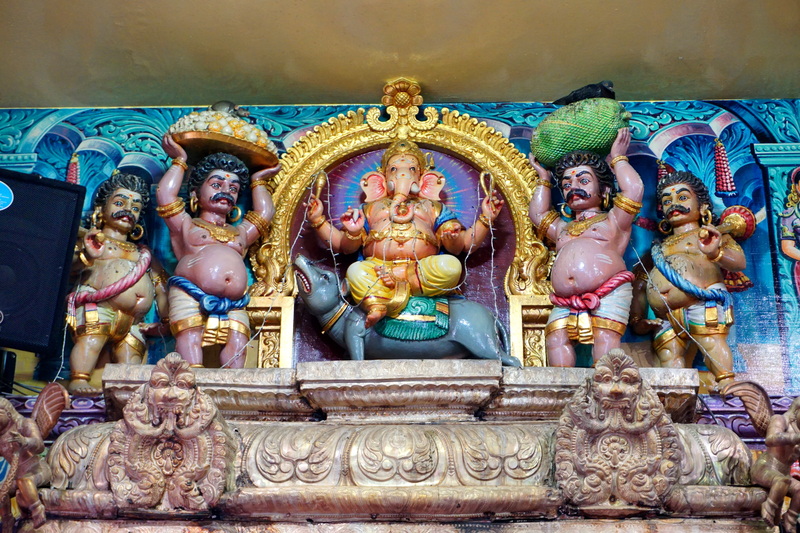 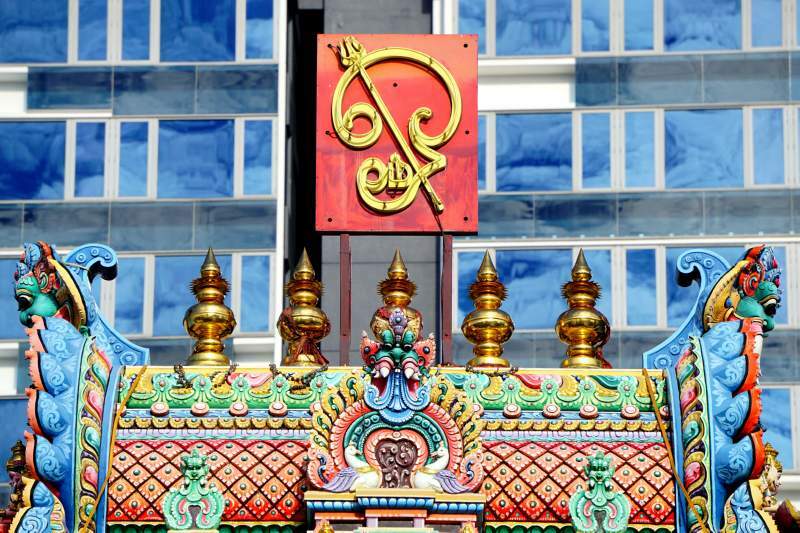 Established by Indians who had been brought in to Singapore in the 19th century, it seems to have been founded towards the end of that century, and may have started just as a couple of shrines. 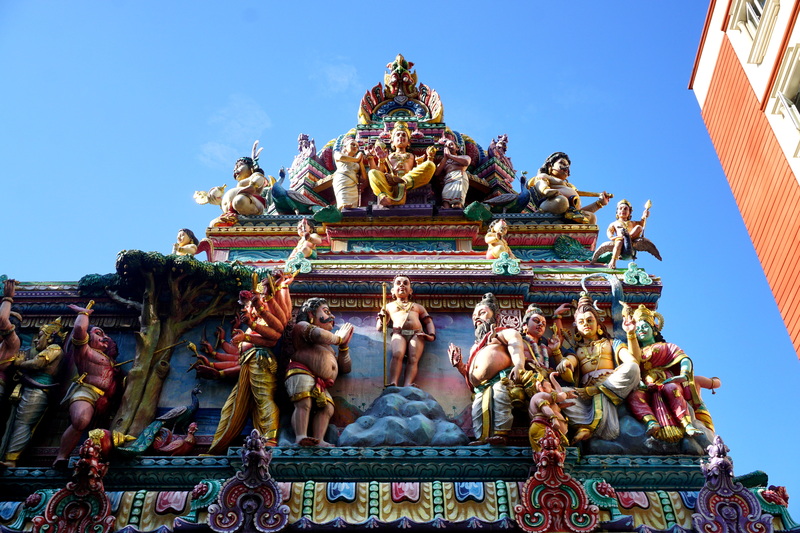 Over the years it was built up more and more, and priests were brought in to see to the needs of the worshippers. 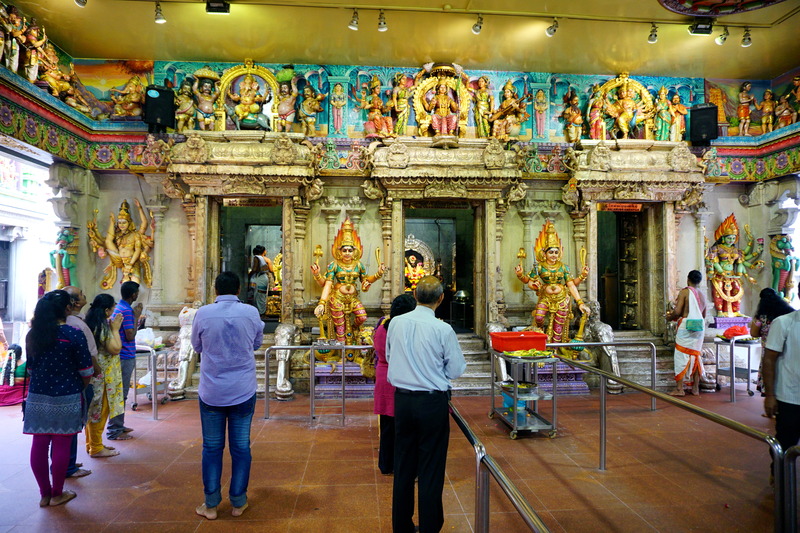 In 1983 the temple was thoroughly renovated at a cost of several millions and the buildings we see now are from that time. 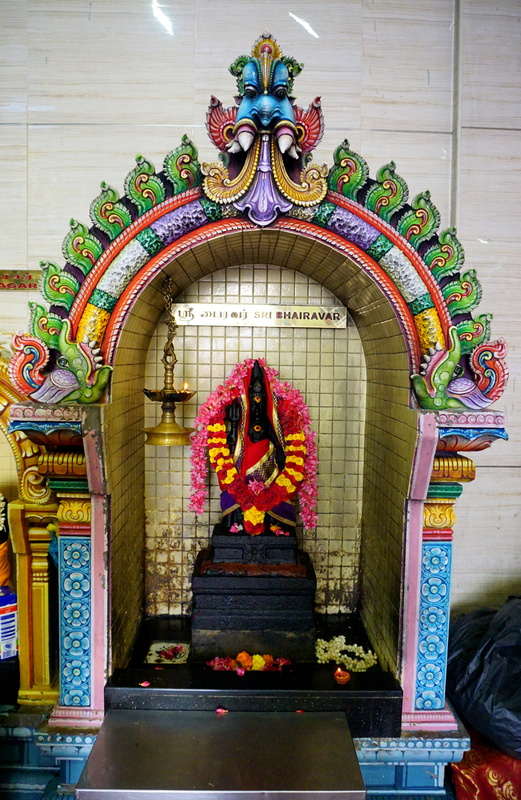 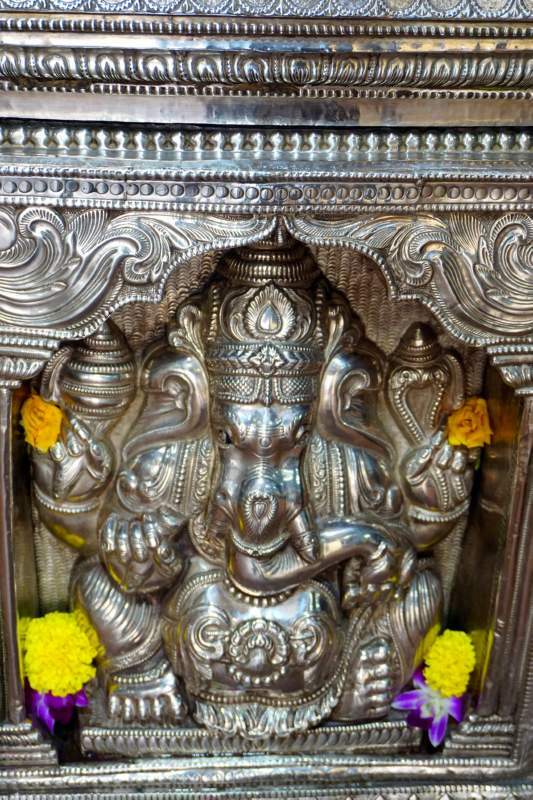 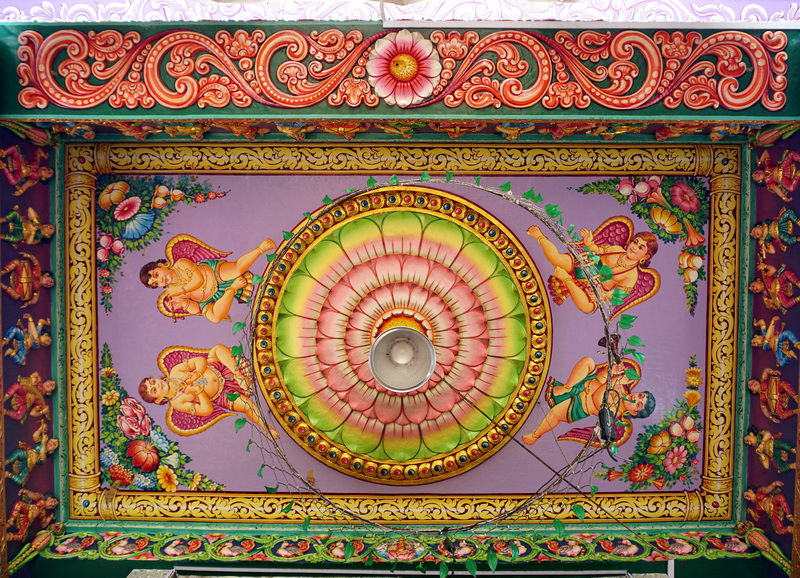 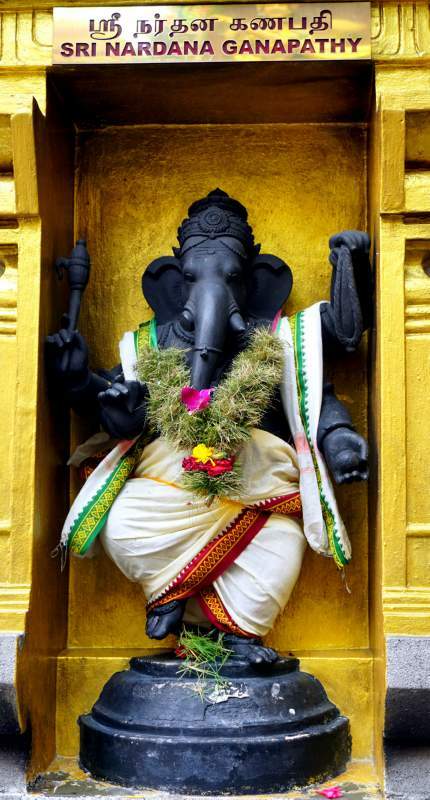 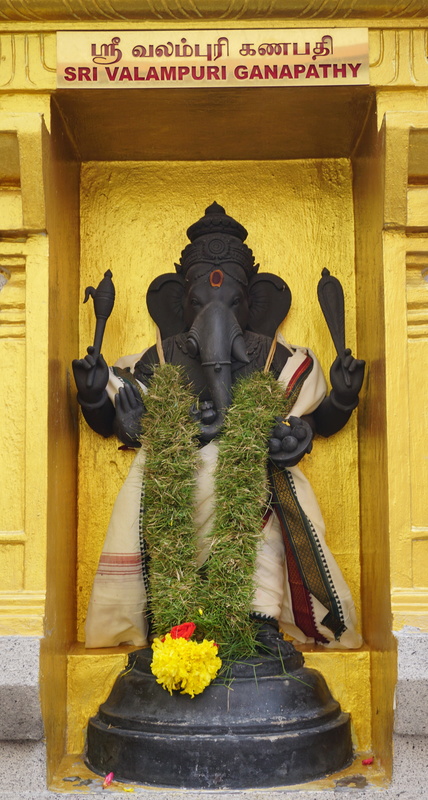 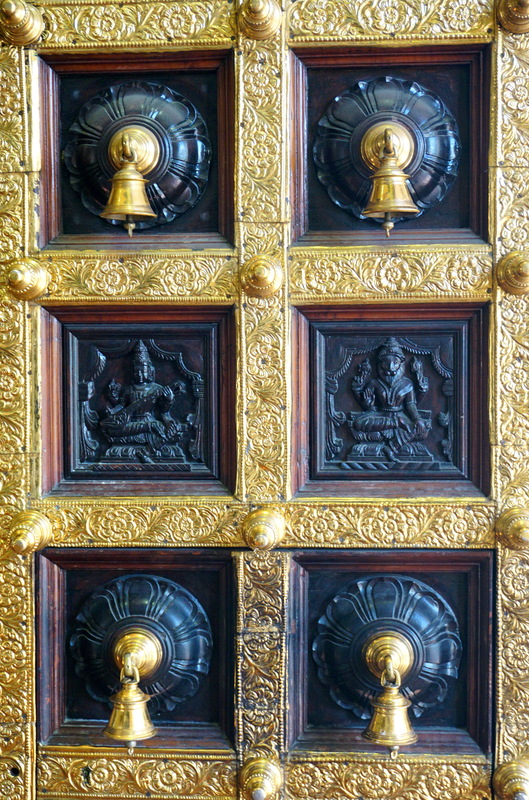 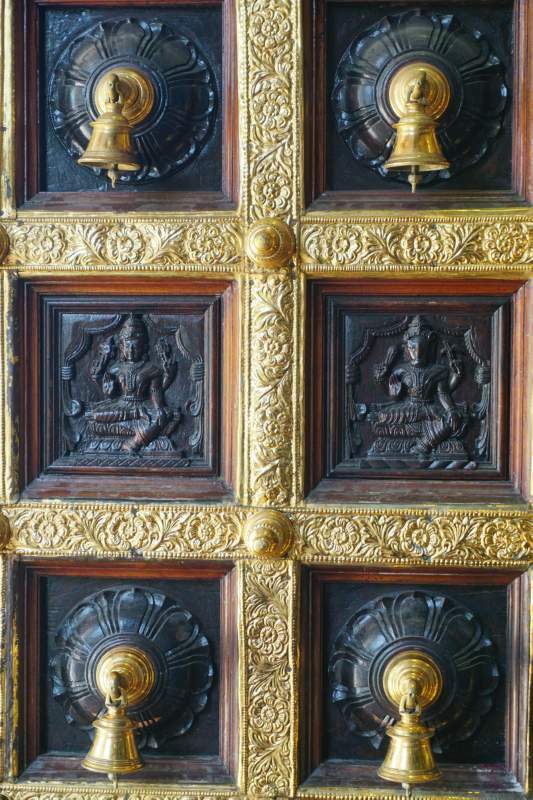 The basic structure is South Indian in style, and has Gopuras, shrines, and statury similar to that found in Tamil Nadu. 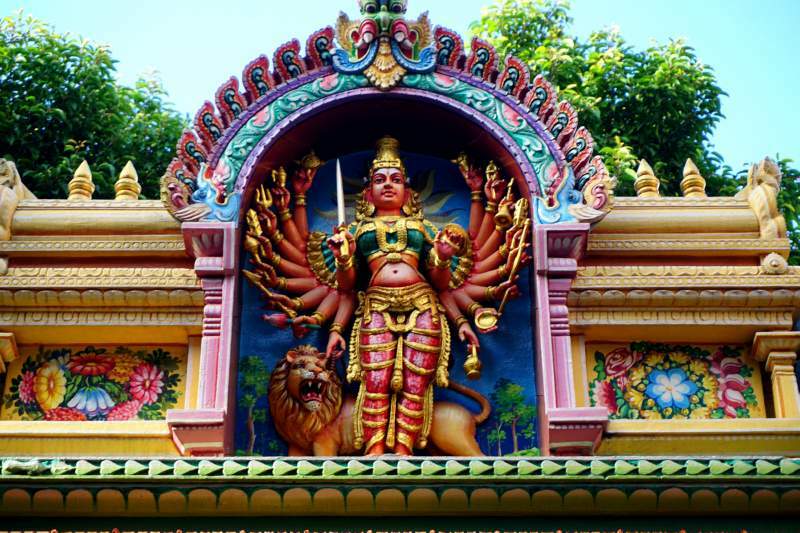 The temple is dedicated to Kali, the goddess who destroys all evil, and many of the statues around are of female deities, in one form or another, and their male associates. 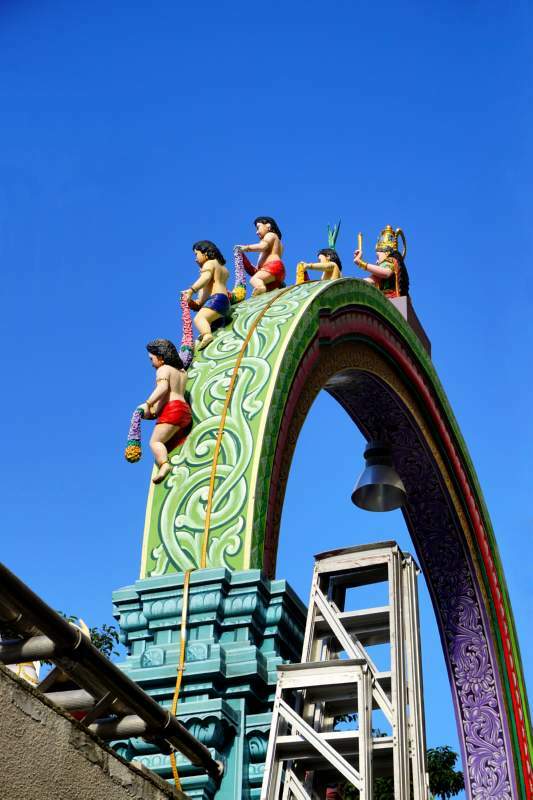 The Temple has a steady stream of worshippers throughout the day, and also many foreginers, as it has now become a tourist attraction also. 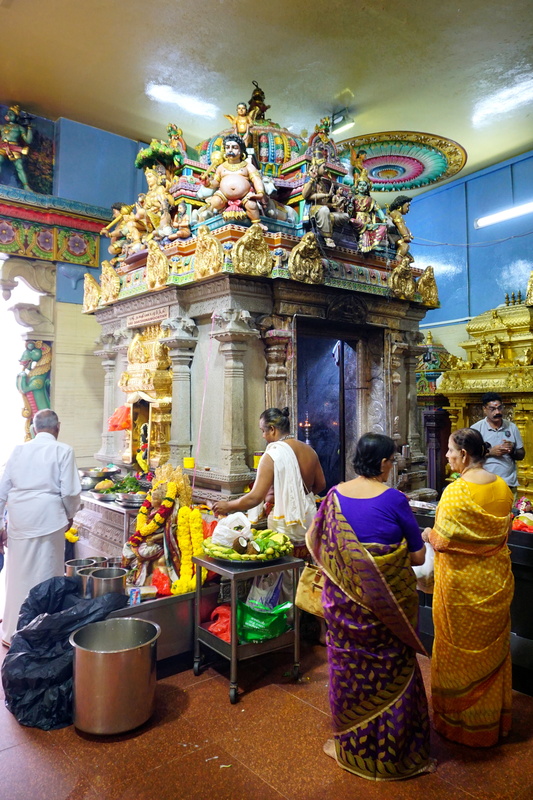 It is particularly busy on temple Feast days.